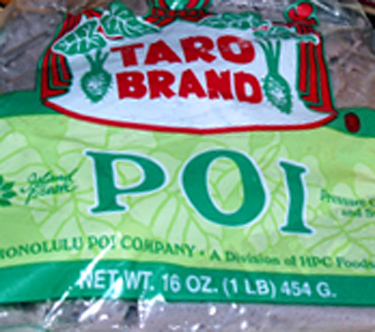 When the controlling interest in McClellan and Smith Inc. was purchased in 1997, the Company changed its name to The Poi Company, Inc., and its brand name from Ho`ai to simply "POI." 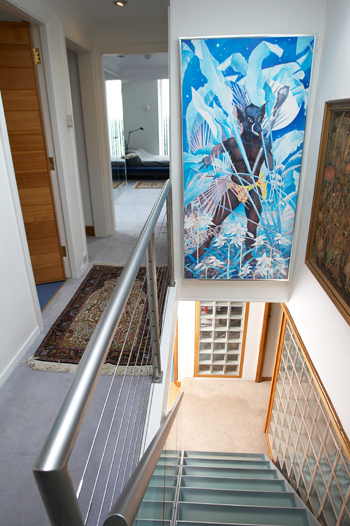 We've discoverd that printing companies and graphic designers can alter logos along the way, but this is the original artwork from the original digital file furnished to the Company by John. After the demise of The Poi Company, we moved to Europe -- and haven't been back in Hawaii since then. 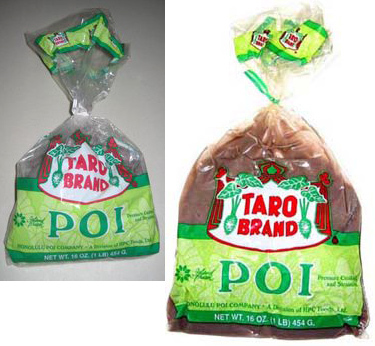 We've occasionally had some of the freeze-dried poi that the Company produced in 2001. Incredibly it still tastes fresh seven years later: something not possible with powdered, dehydrated poi. 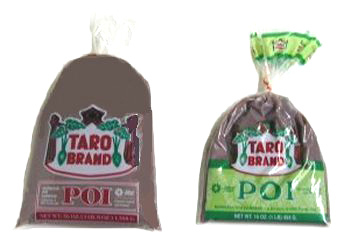 I was doing a bit of Google surfing the other day, and was surprised to see a remarkable transforamtion in the Taro Brand poi bag. John died in 2001, a year before The Poi Company Inc. closed its doors. 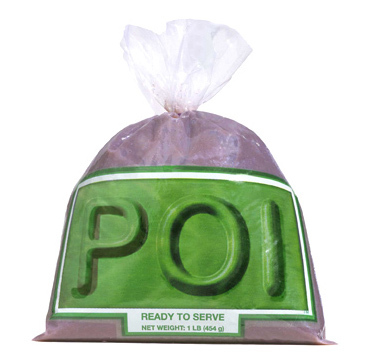 But it is a tribute to his talent that his erstwhile logo survives, in a similar format, on the poi bags of a former competitor. I think of John Thomas often. 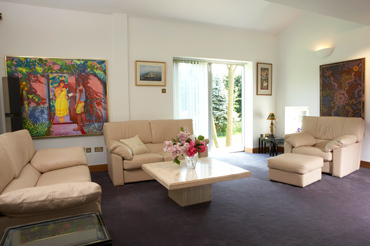 We have two of his large paintings in our home, many thousands of miles from Hawaii.